A tale on the story behind martial arts, traced back to the days of ancient Siam, Muay Thai Live has all the makings of your favorite action film - live! Follow the heroic protagonist and femme fatale in their encounters with threatening villains in a spectacle of martial arts, sword fighting and impressive acrobatics. Expect to laugh out loud or gasp in awe, with this showcase of Thai boxing that tastefully caters to audiences of all ages, featuring riveting choreography and a budding romance to mind blowing fight scenes. It's a full 90 minutes of old-school fights, all the way down to 21st century streets, so find your seats and make yourself comfortable. Don't forget to pick up a souvenir on the way out! Expect to see martial arts, acrobatics, and sword fighting! Amazing stunts and performance by cast who are genuine Muay Thai champions. Not to be missed. History of Muay Thai and elements of Muay Thai. Bonus 2 live matches at the end. A must see to appreciate Thai culture. Thanks Klook for good seats and value for money prices. Great savings. Free boat shuttle from Sathorn Pier near BTS station to Asiatique. Amazing stunts and performance by cast who are genuine Muay Thai champions. Not to be missed. History of Muay Thai and elements of Muay Thai. Bonus 2 live matches at the end. A must see to appreciate Thai culture. Thanks Klook for good seats and value for money prices. Great savings. Free boat shuttle from Sathorn Pier near BTS station to Asiatique. Nice experience to see Muay Thai live. First part is to introduce the origin of muay thai that makes you appreciae the sport more. 2nd part is the live match where the real action begins! Redemption is easy and way much cheaper with Klook! Nice experience to see Muay Thai live. First part is to introduce the origin of muay thai that makes you appreciae the sport more. 2nd part is the live match where the real action begins! Redemption is easy and way much cheaper with Klook! Enjoyed every scene...worth the money cents spent. Plus u will learn the art of Muay Thai. Go for the premium seat - Good view and near to the stage. Photo-taking with the performers after the show. 2 rounds of live boxing. Highly recommended! Enjoyed every scene...worth the money cents spent. Plus u will learn the art of Muay Thai. Go for the premium seat - Good view and near to the stage. Photo-taking with the performers after the show. 2 rounds of live boxing. Highly recommended! Claiming the ticket was easy. We didn’t show anything, someone just asked for my name and our tickets were given to us right after. We didn’t get the VIP Seats but our view was good. We even transferred to the VIP section before before the Live Muay Thai fight began. The show was great and so was the actual fight after. Claiming the ticket was easy. We didn’t show anything, someone just asked for my name and our tickets were given to us right after. We didn’t get the VIP Seats but our view was good. We even transferred to the VIP section before before the Live Muay Thai fight began. The show was great and so was the actual fight after. It’s a must-see! You’ll learn about Mhuay Thai in a fun and exciting way! Highly recommended if you have some Baht to spare. And you can definitely save a ton of Baht if you book via Klook! It’s a must-see! You’ll learn about Mhuay Thai in a fun and exciting way! Highly recommended if you have some Baht to spare. And you can definitely save a ton of Baht if you book via Klook! really breath taking performance by well trained personnel. worth seeing once in a lifetime opportunity. tickets in klook are well priced and discounted as compared to direct sales at the counter. THANKS to klook. the real 2 fights at the last were also worth watching. not to mention premium seats are at the front but regular seats are preferred since later during show people shift from rear to front. we had purchased premium tickets but strongly advice that regular seat is more than sufficient to view the entire show with ease. really breath taking performance by well trained personnel. worth seeing once in a lifetime opportunity. tickets in klook are well priced and discounted as compared to direct sales at the counter. THANKS to klook. the real 2 fights at the last were also worth watching. not to mention premium seats are at the front but regular seats are preferred since later during show people shift from rear to front. we had purchased premium tickets but strongly advice that regular seat is more than sufficient to view the entire show with ease. Award winning stage show and live Thai boxing matches. Was definitely worth watching in Asiatique. The stage production of the history of Muay Thai was very well dine. Audio visual effects were well choregraphed with the actors on stage. In addition to the stage production, there were two live Muay Thai fights. Thank you Klook. 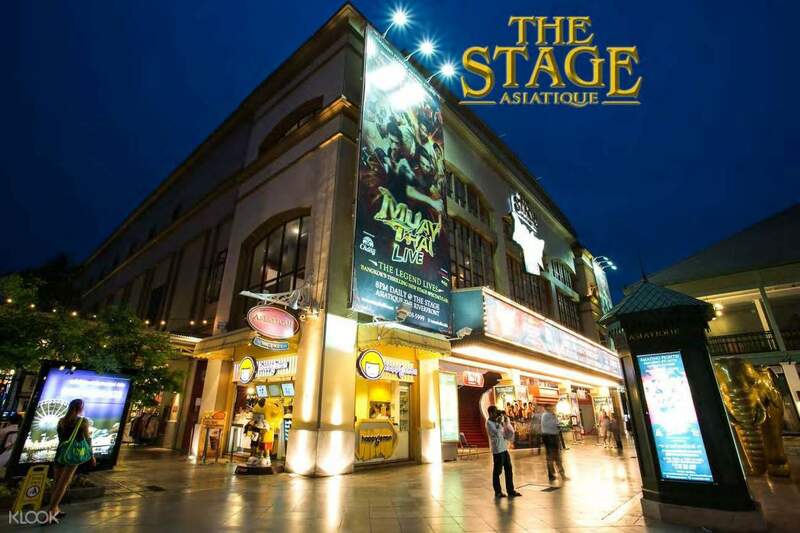 Award winning stage show and live Thai boxing matches. Was definitely worth watching in Asiatique. The stage production of the history of Muay Thai was very well dine. Audio visual effects were well choregraphed with the actors on stage. In addition to the stage production, there were two live Muay Thai fights. Thank you Klook. It was a good show! It wasn’t very packed and the storyline was a little choppy and kind of cheesy. But it was a great performance and in air conditioning and the actors who did he Muay Thai were very skilled! The live fights at the end were intense and a great addition to the show! It was a good show! It wasn’t very packed and the storyline was a little choppy and kind of cheesy. But it was a great performance and in air conditioning and the actors who did he Muay Thai were very skilled! The live fights at the end were intense and a great addition to the show! One of the best things to do in Bangkok! 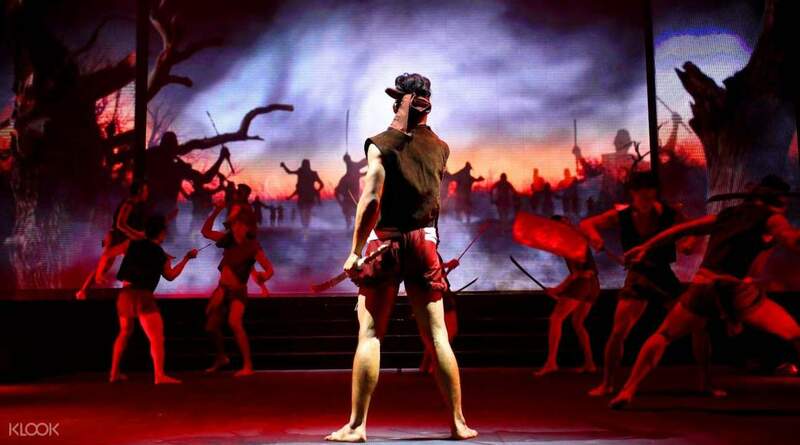 An awesome Thai martial art stage drama in a high tech stage with full of energy + live Thai boxing experience! I loved it! One of the best things to do in Bangkok! An awesome Thai martial art stage drama in a high tech stage with full of energy + live Thai boxing experience! I loved it!